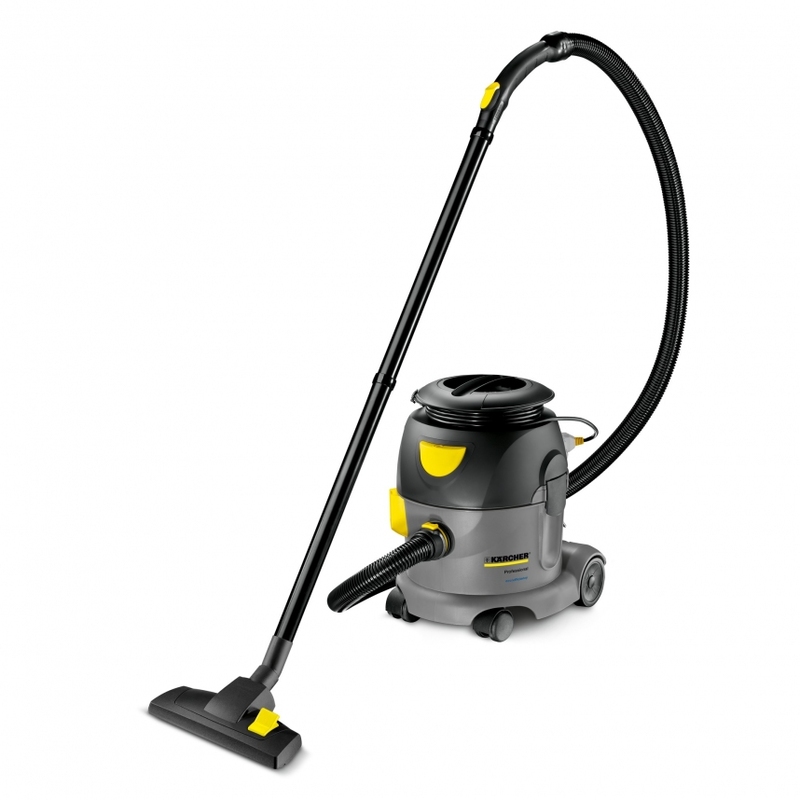 The T 10/1 eco!efficiency brings new levels of quality and value to the contract cleaner tub vacuum sector. With key features designed to keep purchase and maintenance costs low, the T 10/1 eco!efficiency offers the toughness, simplicity, performance and value contract cleaners demand. The T 10/1 eco!efficiency offers all the features of the standard T 10/1 Adv but with dramatically reduced noise and 40% lower energy consumption – without compromising daily cleaning performance. Extremely strong and dense enough for vacuuming without a filter bag. The cord can be replaced quickly and easily by loosening two screws.